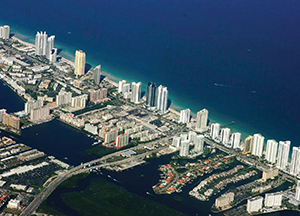 In the last 18 months, Miami has turned into a real estate record-breaking machine. Sears CEO Eddie Lampert kicked off the madness in March 2012 when he paid $38 million for a villa in Indian Creek — the most ever for a single-family home. Only five months later, in August, a Russian mystery buyer ponied up $47 million for a compound just a few doors down. A 497-square-foot condo at The Residences at W South Beach sold for $1.45 million in less than 24 hours, setting two Miami-Dade records — the fastest deal and the most ever paid for a studio or a one-bedroom. The per-square-foot cost works out to $2,917. Michael Light of Keller Williams had the listing. The buyer: a corporation linked to a Russian investor. An 11-bedroom estate called Castello del Sol sold for $30 million, making it the most expensive home on Miami Beach’s La Gorce Island. 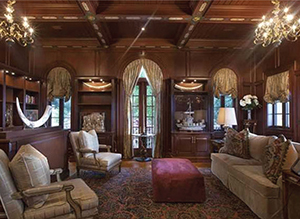 An unnamed European corporation bought the mansion from a seller that paid $12.45 million for the property in 2001. Jill Eber and Jill Hertzberg of Coldwell Banker had the listing; Esther Percal of EWM Realty International acted as the sales agent. 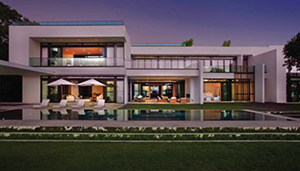 The über-contemporary mansion of fashion designer Luca Fendi sold for $14 million, a record for the Venetian Islands. 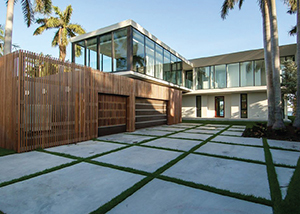 Fendi paid $5.52 million two years ago for the 8,030-square-foot villa, on man-made Di Lido Island in Biscayne Bay. Coldwell Banker, which brokered both sides of the deal, declined to name the buyer. 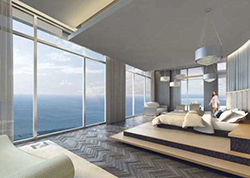 Property Markets Group, a New York-based developer, paid $30 million for less than an acre of oceanfront in Sunny Isles Beach. 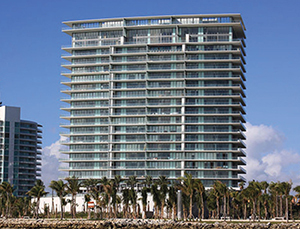 PMG and partner S2 Development of Aventura purchased the 0.85-acre parcel from Palermo Beach LLC in Aventura. Engle & Volkers’ Mario Borda brokered the sale. 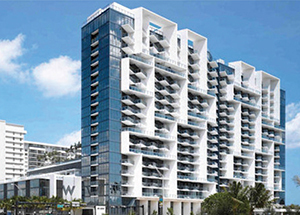 Apogee South Beach set a new price record for a non-oceanfront unit in Miami-Dade County: $12.4 million. 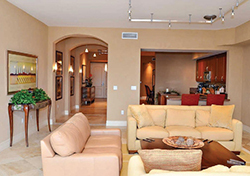 The apartment has 4,154 square feet, which puts the per-square-foot cost at $2,985. Carlo Gambino of Douglas Elliman represented the seller and Jill Eber of Coldwell Banker represented the buyer; Gambino declined to disclose the identities of the buyer and the seller. A Miami Beach mansion with a batting cage indoors and a Zen garden outside sold for $30 million, netting a $15 million profit for its owner — New York Yankees slugger Alex Rodriguez —and setting a price record for the city’s North Bay Road. Rodriguez bought the nearly 20,000-square-foot property in May 2010 for $7.4 million and spent another $7.6 million on renovations. The buyer: a celebrity who also has a home in Palm Beach. 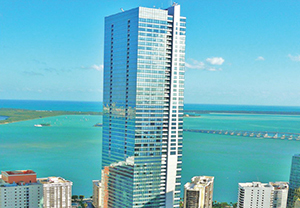 The $5.2 million paid for a top-floor penthouse at the 70-story Four Seasons Residences shattered the highest price paid per square foot in Miami’s Brickell corridor in May. Spinal surgeon Ronald DeMeo netted $1,506 per square foot for the 3,452-square-foot pad, which he bought in 2005 for $4.15 million. That record was later topped by a $7.6 million sale at Echo Brickell, when a penthouse there sold for roughly $2,000 per square foot. 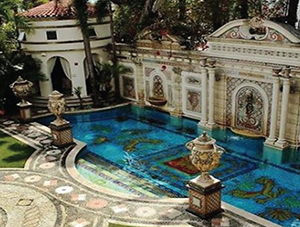 A palatial Mediterranean-style estate known simply as the Versace mansion — for its most famous owner, slain Italian fashion designer Gianni Versace — had the highest listing price in Miami history when it hit the market more than a year ago: $125 million. 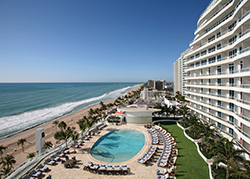 It brought only $41.5 million, though, when it finally sold in mid-September at a closely followed foreclosure auction. The winning bid came from the Nakash family of Jordache jeans fame, the mortgage holder. The family plans to convert the villa into a hotel with the Versace name.